Preheat oven to 400°F. Line a standard 12-cup muffin pan with paper liners and set aside. In a large bowl whisk together the yogurt, milk, lemon juice, canola oil and lemon zest until smooth. In a medium bowl whisk together flour, salt, sugar, and baking powder. Add the dry mixture to the yogurt mixture and fold just to combine. Add the fresh raspberries and gently fold to incorporate into the batter. Using a large ice cream scoop or spoon evenly distribute the batter among the lined muffin cups. Bake for 20-25 minutes on the center rack until lightly golden and a cake tester or toothpick comes out clean. Let cool in the pan for 10 minutes before transferring to a cooling rack to cool completely. Once cooled, store in an air-tight container at room temperature for up to 3 days. Nutritional Information: (per muffin) 161.1 Calories (kcal); 4.1g Total Fat; 3g Protein; 28.5g Carbohydrate; 0mg Cholesterol; 171.6mg Sodium; 1.6g Fiber. Lemon and berries is such an unbeatable pairing- The play between sweet, sour, tart, and tangy is just irresistible. 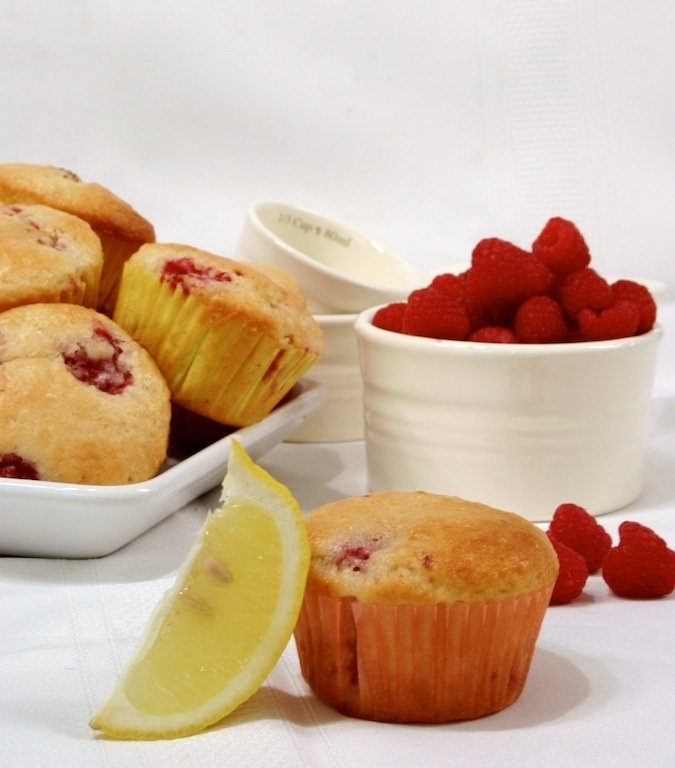 These muffins look like such a treat, whether it’s for snack or breakfast! Thanks Hannah! They do make a great breakfast… it was a sad Monday morning today, there were no muffins left lol!